I started my gluten free sourdough bread journey in the summer of 2018. At the time I had just recently become proficient at sourdough bread when my doctor declared she wanted me to give a gluten free trial a go. And so the journey began. I am eating gluten again, but through the development of this recipe, and consequently gluten free sourdough bread, the Vanilla And Bean community has shown interest. Also, I’ve created gluten free sourdough pancakes and waffles with this sourdough starter, using whole grain flours, that taste over the top! I’ll be sharing those soon as well. Gluten free sourdough starter is simple to make, but it took a bit of trial and error for me to get me to this point. While it’s similar to developing a glutenous sourdough starter, I found some gluten free flours to be more reliable than others in producing a consistent result. This simple recipe takes between 5-7 days to complete. Trust me when I say you’ll think about it more than the time it takes to make it: checking on it periodically, looking for bubbles, taking a whiff for a bit of that sweet and sour aroma we’re after. The key is patience and consistency. DAY 1: In a medium glass bowl or jar, whisk buckwheat or brown rice flour with sweet rice flour and water. Lid or cover with a damp tea towel and set aside for at room temperature 24 hours. 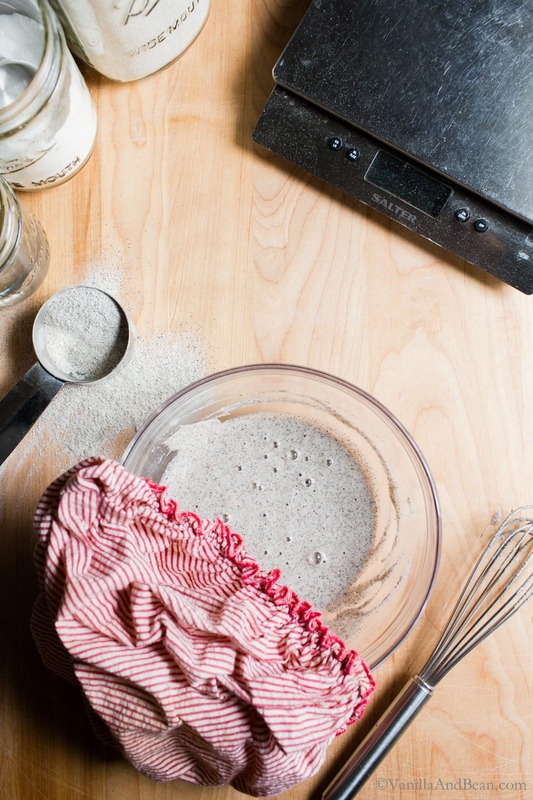 DAY 2: Take a portion of the previous days mix (discard the leftover), and in a clean jar or bowl whisk in water and buckwheat and sweet rice flour. Lid or cover with a damp tea and set aside at room temperature for 24 hours. DAY 3 through 6…or 7: Repeat day two until the mixture becomes puffy, has a pleasant sweet-sour aroma and bubbles begin to form under the surface. How many days it takes to complete to get to this point depends on ambient temperature and available, naturally occurring yeast and bacteria, but it should be ready between 6-7 days. Once the starter is puffy, has a sweet-sour aroma and bubbles are present under the surface (see pictures below), your initial starter is ripe or ready. Last, to keep your starter healthy and strong, you’ll need to refresh it, or feed it before using it in a recipe. 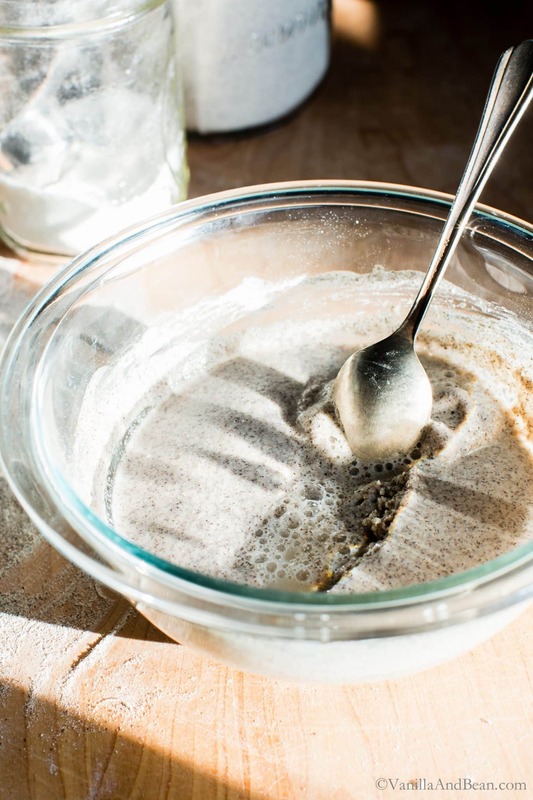 Refreshing a sourdough starter keeps it healthy and strong. I refresh mine at least every other week, once a week if I remember, when stored in the fridge, but always 8-12 hours before I’m ready to mix bread. Also, I keep the starter in a glass jar with a rubber band around the starting level (after I refresh it) so I can track its progress. It needs to double in size, have pockets of air bubbles and smell of a pleasant sweet-sour smell. First, in a glass jar whisk 1/4C (60g) of sourdough starter (discard or save the leftover) with 1/3 C (80g) water. Add 3 T (30g) buckwheat flour and 3 T (30g) sweet white rice flour to the water mixture. 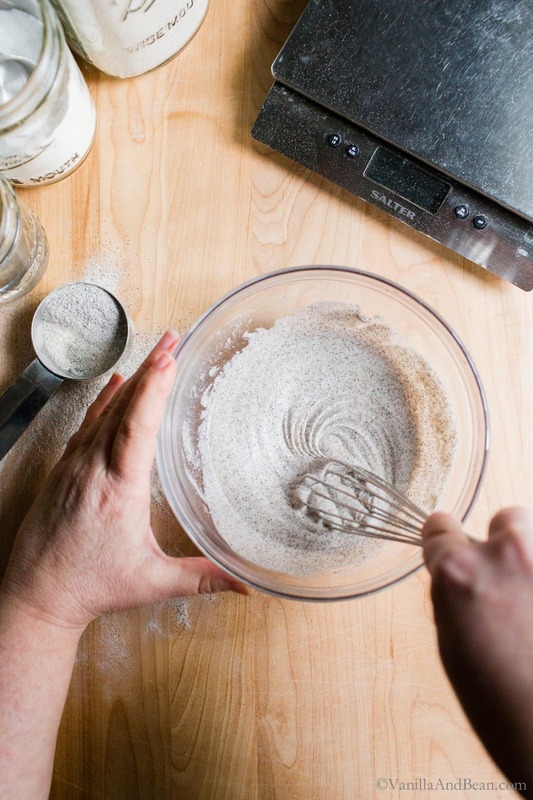 Mix well until the flours are hydrated. Next, loosely lid the jar and wrap a rubber band around the jar at the height of the starter. This will give you a visual indication of how much the starter has grown as it grows to double in size. Last, allow the starter to develop at room temperature for about 8-12 hours. The time will vary due to ambient temperature. How do I Know When My Gluten Free Starter is Ready? Once the starter has doubled in size, is bubbly and has a sweet-sour aroma, it’s ready to use in your gluten free sourdough bread recipe. After measuring out the portion needed for your recipe, refresh the starter, as indicated above and store in the fridge until your next feeding. The starter will not stay in this doubled in size state for long. At some point after doubling in size, it will begin to lose its strength and fall. The exact amount of time will vary from starter to starter but I’ve typically observed a few hours window, at room temperature, where the starter will remain doubled in size. On warm days, it’s shorter. But in the refrigerator, it’ll hold for quite a while. I’ve observed at least over eight hours! Once it starts falling back down after doubling in size, you’ll need to refresh (or feed) it and allow it to double in size again before using it in a sourdough bread recipe. If your starter is struggling to double in size, you’ll need to go through a few cycles of refreshment to build strength in the starter. You can even refresh twice within a 12 hour period if needed. Doing this builds flavor and will help later in the development of your gluten free sourdough bread. I do a series of refreshments after freezer storage or a long period of neglect in the refrigerator before using it in a recipe. 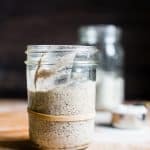 How Do I Maintain my Gluten Free Sourdough Starter? Think of your starter as a refrigerator pet that needs regular attention. There’s yeast and bacteria that make up the starter so it needs to be fed (refreshed) on a regular basis. Your starter can be stored at room temperature if you’re baking daily. However, I use mine about once every two weeks, so I store my starter in the refrigerator. I’ve gotten away with refreshing it only before and after I bake and this system of an every other week feeding/baking schedule works well for me. In a perfect world, it should be fed weekly. Occasionally you may notice a layer of liquid that forms on the surface. This liquid is called hooch, a naturally occurring alcohol which indicates that it’s a little past time to feed your starter and is an indication of a weak starter. Hooch should have a pleasant sweet-sour aroma. You can pour it off or stir it into your starter and carry on with refreshment. If you’ll be away from baking for a while and need to store your starter longer than a few weeks, it can go in the freezer. When ready to use it again, thaw it out in the refrigerator and refresh it a few times prior to baking with it. Remember, your starter is ready when it doubles in size, is bubbly and has a pleasant sweet-sour aroma. 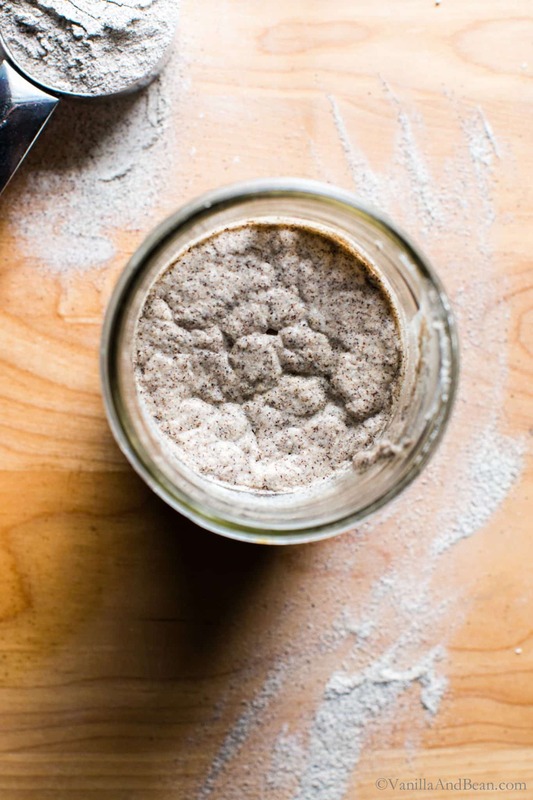 For leftover sourdough starter (discard), you can keep it in a jar for use in other recipes, give some away or throw it out. It can be used in gluten free pancake and waffle recipes without having to double it in size… and it’s absolutely delicious (recipes coming soon!)! I keep a jar in my refrigerator and refill it as I discard the leftover starter at refreshment time. The discard can be frozen too. If you see any mold or a layer of pinkish/orange tent on the top of your starter, throw it out and make a new starter. This can be avoided simply keeping your starter happy and well fed, refreshing it weekly in the fridge or daily at room temperature. 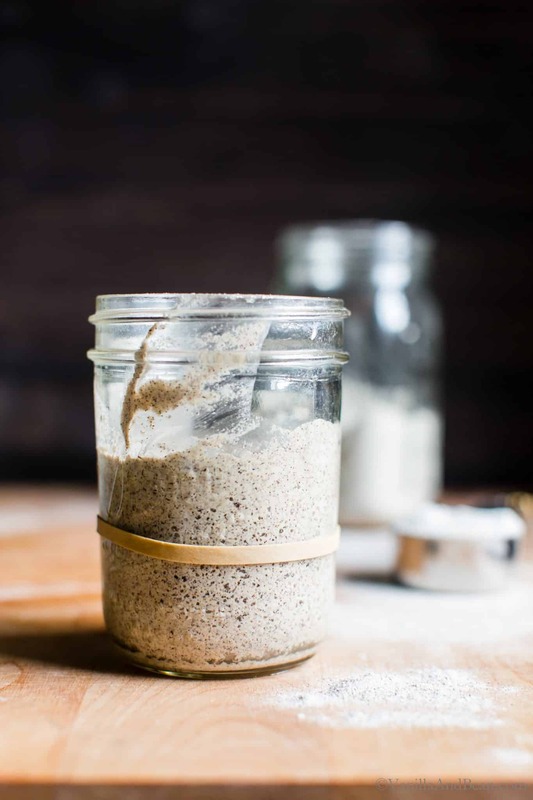 Through testing this recipe, I found sweet white rice flour or AP 1-1 gluten free baking flour to be an essential component in developing a strong and consistent gluten free sourdough starter. Mixed with another whole grain flour such as buckwheat or brown rice flour yields consistent results. These are the only two whole grain flours I’ve tried. If you use another, please let us know how it goes in the comments! 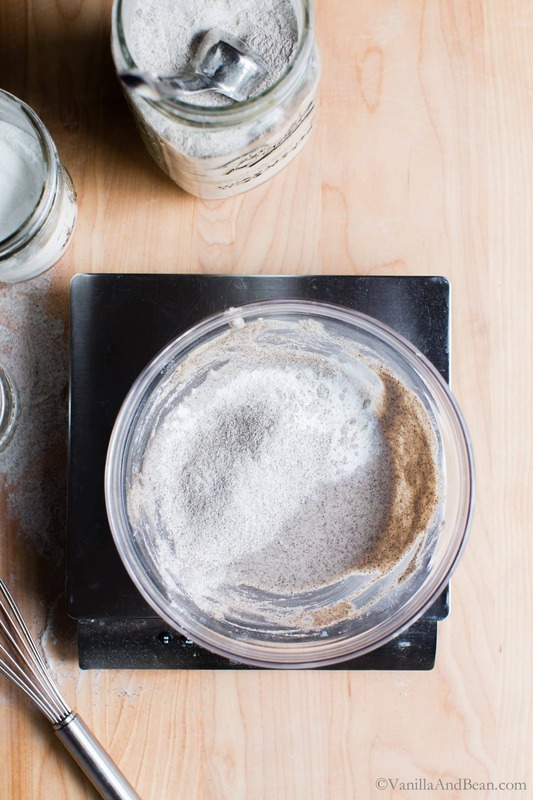 If you’re a glutenous sourdough baker and have used the float test in the past to observe when your sourdough starter is ready, the same idea doesn’t work for gluten free sourdough starter. So, you’ll need to go on observation alone. Remember: the starter doubles in size, smells of a sweet-sour aroma and has air pockets within the starter (or is bubbly). Once your gluten free starter is going, check out my Seeded Multigrain Gluten Free Sourdough Bread. *The blog post above has more tips and information! 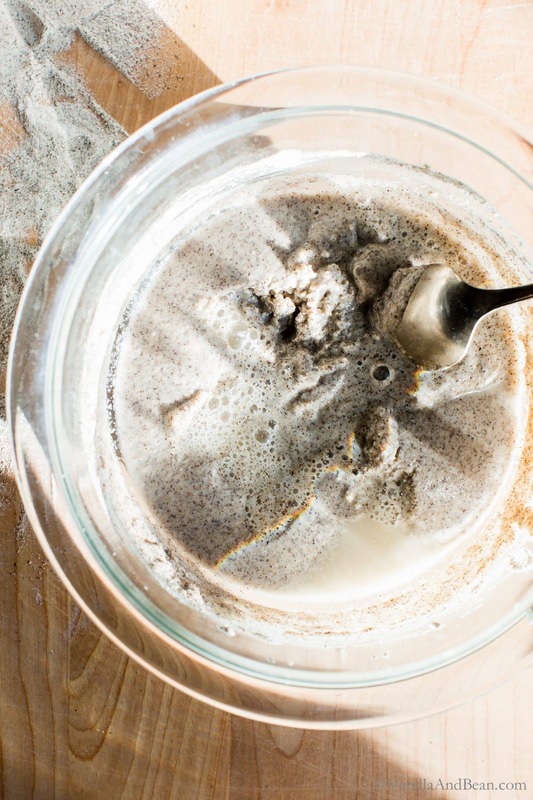 * Making a gluten free sourdough starter couldn't be easier. 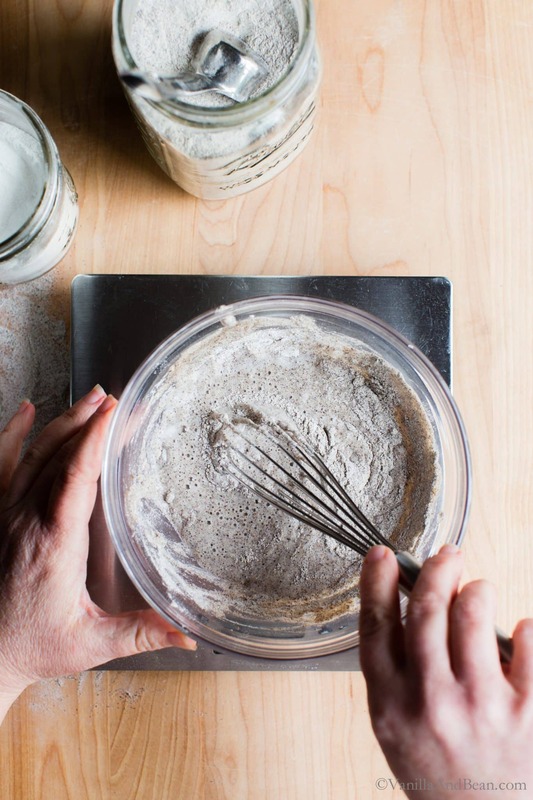 Start with a few simple ingredients, a little time and patience, soon you'll be making delicious homemade gluten free sourdough bread, pancakes, and waffles! 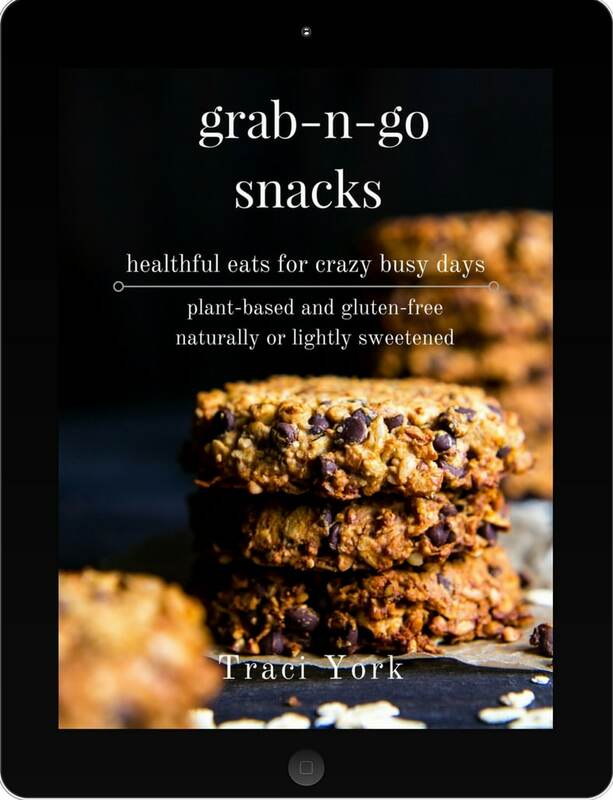 gluten free + vegan **This process takes between 6-7 days to complete, with only minutes each day to prepare it! In a medium glass bowl or jar, whisk together 2 T (20g) buckwheat or brown rice flour, 2 T (20g) sweet rice flour and 1/4 C (60g) of water. Cover with a damp tea towel and rest at room temperature for 24 hours. 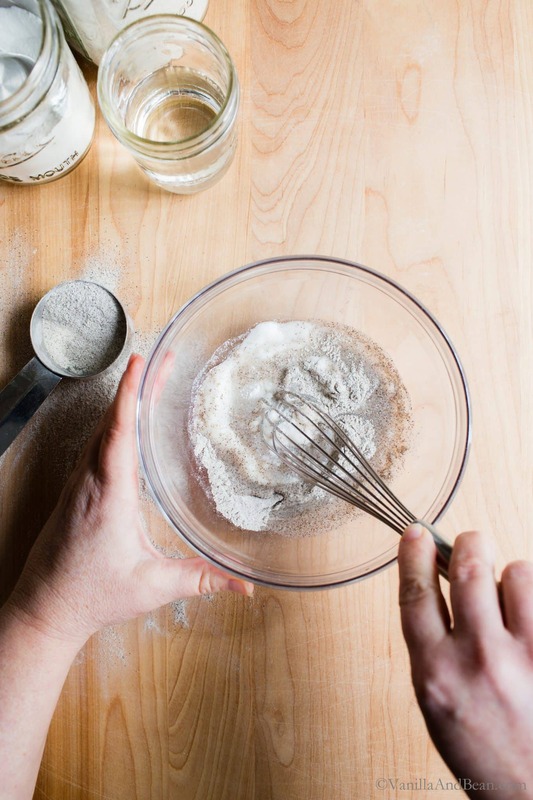 In a medium glass bowl or jar, whisk 2 T (40g) of mixture you made yesterday (discard the leftovers), 2 T (20g) buckwheat or brown rice flour, 2 T (20g) sweet rice flour and 1/4 C (60g) of water. Cover with a damp towel or loose fitting lid and rest at room temperature for 24 hours. Repeat step two using the previous days starter until the mixture becomes puffy, has a pleasant sweet-sour aroma and bubbles begin or air pockets are visible under the surface. This process takes about six to seven days. Your starter is now ready. But, before using it in a recipe, you'll need to refresh (feed) it. 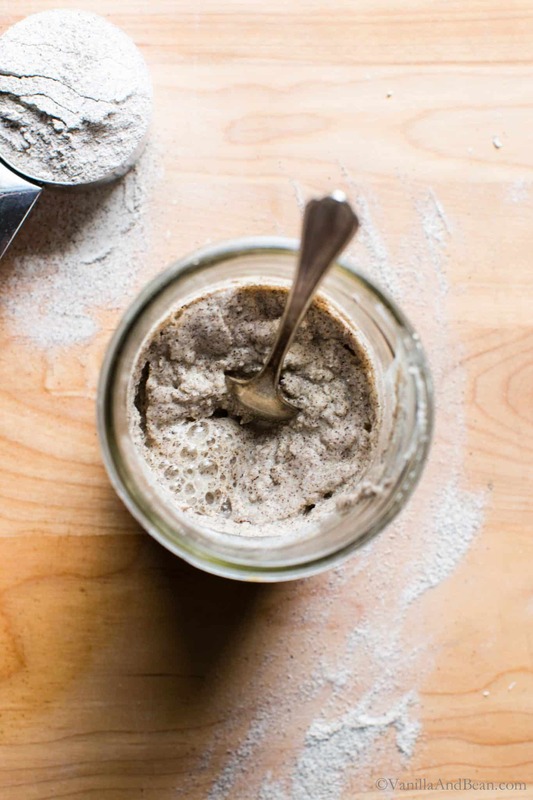 In a clean lidded jar, add 1/4C (60g) of sourdough starter (discard or save the leftover). To the starter, mix in 1/3 C (80g) room temperature water. Add 3 T (30g) buckwheat flour and 3 T (30g) sweet white rice flour to the water mixture. 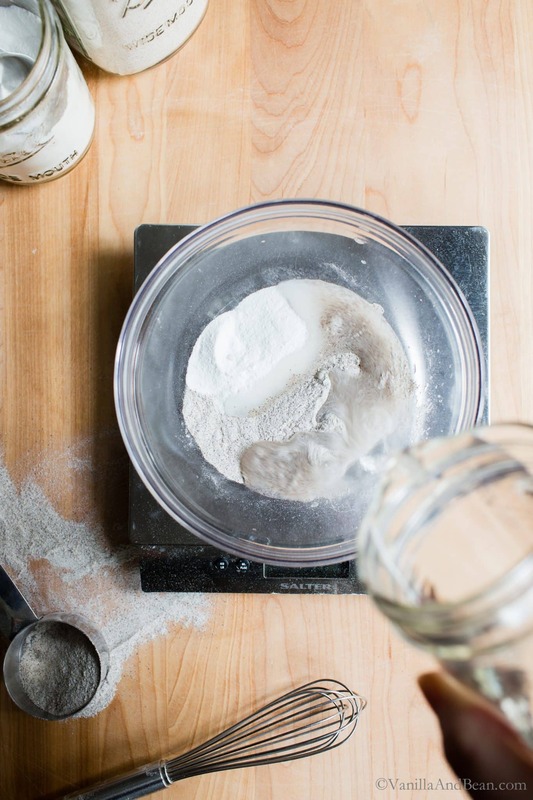 Mix well until the flours are hydrated. Loosely lid the jar and wrap a rubber band around the jar at the height of the starter. This will give you a visual indication of how much the starter has grown. Allow the starter to develop at room temperature for about 8-12 hours* or until it doubles in size. The time will vary due to ambient temperature. Once the starter has doubled in size, is bubbly, and has a sweet-sour aroma, it's ready to use in your gluten free sourdough bread recipe. After measuring out the portion needed for your recipe, refresh the starter, as indicated above and store in the fridge. The starter can be stored at room temperature if you bake daily, which also means it will be refreshed everyday. Otherwise, store it in the refrigerator. Ideally, you'll want to refresh your starter (feed it) each week if stored in the refrigerator. For longer storage, place your starter in the freezer. It will revive after it thaws in the refrigerator and goes through a few refreshments. *If you're in a hurry and have an established starter, you can increase the speed at which the starter doubles in size simply by heating the water to 80F before refreshing the starter. When I do this, my starter typically doubles in size in about four hours. It”s hard to imagine what really went into all the development of the recipe for this starter. As always, your instructions and photos are so instructive. This really has been quite the journey for you! Thank you for this post. I am looking forward to trying this bread. For clarification, are you making a new starter each day for 3 days and what you have on the third day is what you will actually be using and what is left behind in each jar on days 1 and 2 gets discarded? Thank you. Hi Patty! I’m sorry for the confusion. To clarify, you’ll have a discard everyday except day one. “DAY 3 through 6…or 7: Repeat day two until the mixture becomes puffy, has a pleasant sweet-sour aroma and bubbles begin to form under the surface. How many days it takes to complete to get to this point depends on ambient temperature and available, naturally occurring yeast and bacteria, but it should be ready between 6-7 days. Once the starter is puffy, has a sweet-sour aroma and bubbles are present under the surface (see pictures below), your initial starter is ripe or ready.” Then you’ll refresh (feed) it before using it in a recipe. I hope this helps and you enjoy the process! Well done Traci! Such an informative post. You’ve really been working so hard at your GF baking skills. The information you share is always so helpful and your step by step photos make things seem so much easier when trying to accomplish on my own in my kitchen. 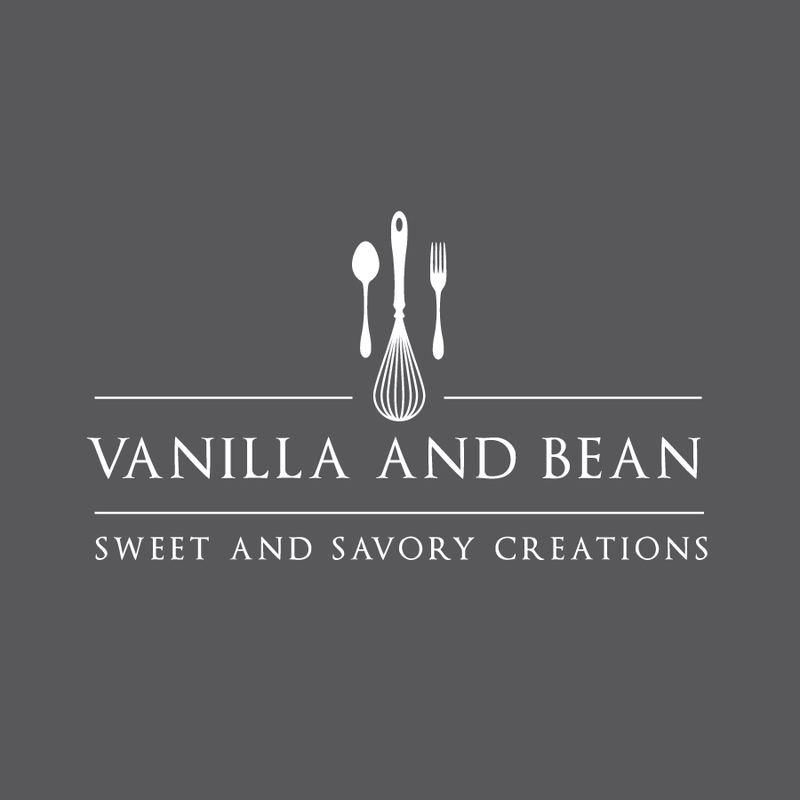 I always learn something when I stop by Vanilla and Bean! WONDERFUL, thank you as I’m a bread maker and now have to go gluten free. Will you be posting your gluten free sourdough recipe also? It would be so greatly appreciated. Hi Alice! Oh noooo… that’s such a challenge. I’m sorry to hear. But YES (!! ), here is my gluten free sourdough! https://vanillaandbean.com/seeded-multigrain-gluten-free-sourdough-bread/ I hope you enjoy the recipe! Such an incredibly helpful post. I am not observing a gluten free diet, but this makes me want to start making gluten free bread. I know how hard you worked on this my friend. So well done. Sending you warmest hugs. The consummate teacher! Thank you for your thorough instruction, my friend! I learn so much when I visit! So happy to hear, Annie! xo Thank youuuu! What a thoughtful and thorough tutorial Traci; your detailed illustrations are always so helpful too. I have no doubt your efforts will be beneficial to a large gf community – an excellent resource, thank you for this! Hiii Kelly! Thank you so much. I hope it helps others as it’s helped me get through some challenges for sure! Sourdough sure is having a moment! I really want to get into it. My grandfather used to make sourdough bread and pancakes every weekend. And I alway think of him when I think of sourdough. I’m sure getting this GF started took was work, but seems well worth all your efforts! Cheers! It IS! Liz…. seriously, you’d love the process Liz. 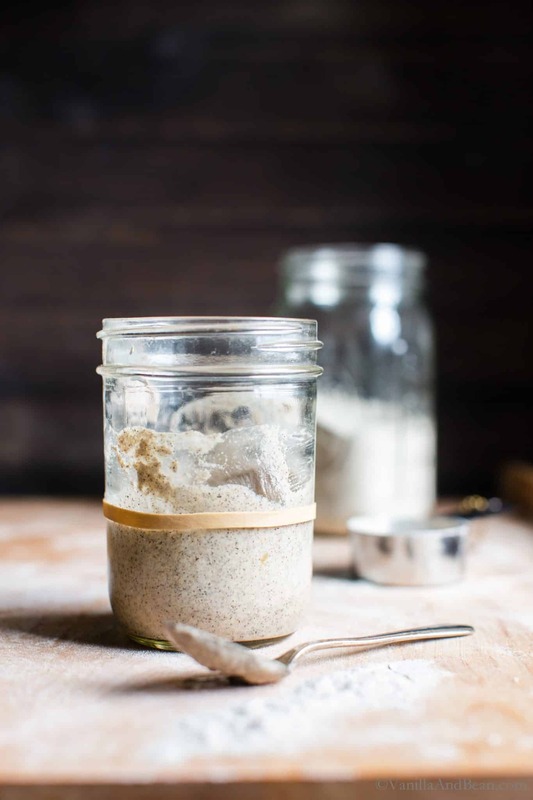 If you need a glutenous sourdough starter recipe, King Arthur has a good one! The process for gf is basically the same as regular just with two gf flours instead of one glutenous flour. I can’t wait to see what you create!